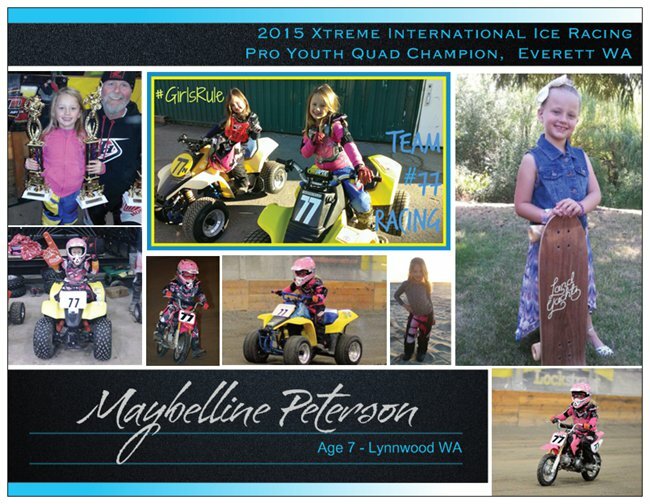 Northwest Indoor BMX Racing GRAND OPENING WKND! Guess what? We got some moto’ing in today! 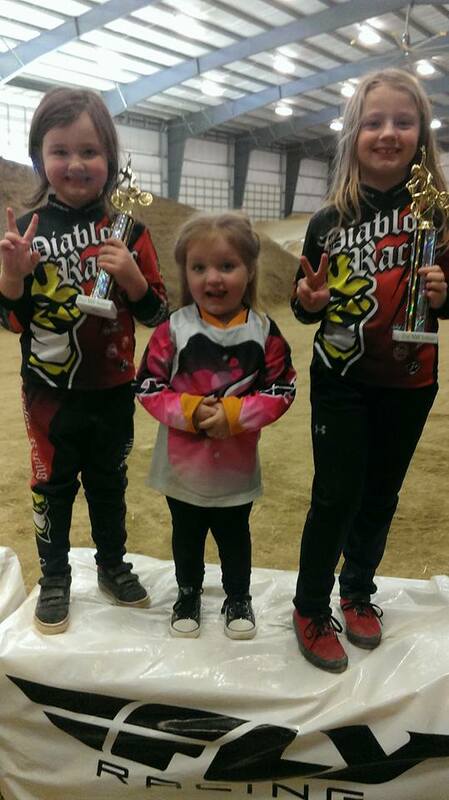 This weekend was the grand opening for NW Indoor BMX Racing…YAY! What does that mean for us? It means we now have an INDOOR track 52 miles north of our home! Since our only ‘dry’season(s) here in the Pacific NW are typically just Spring and Summer, most our local tracks operate only during that time of the year since they are all outdoor. We do have another indoor track on the Peninsula (75 miles southwest of home), but the last few times we’ve made a trip out there, traffic has been AWFUL, taking us 2.5+ hrs each way. So having this new indoor track up North (and the speed limit driving that direction is 70mph) means that the girls’ will easily be able to race BMX year round now, YAY! We arrived at the track around 10ish this morning, and the girls had 90 minutes to practice. Since it has been racing since late August, we were not sure really what to expect. They both got in several practice laps and were feeling pretty confident. Penelope had 4 kids in her moto, and Maybelline had 3. Both were ‘total points’. 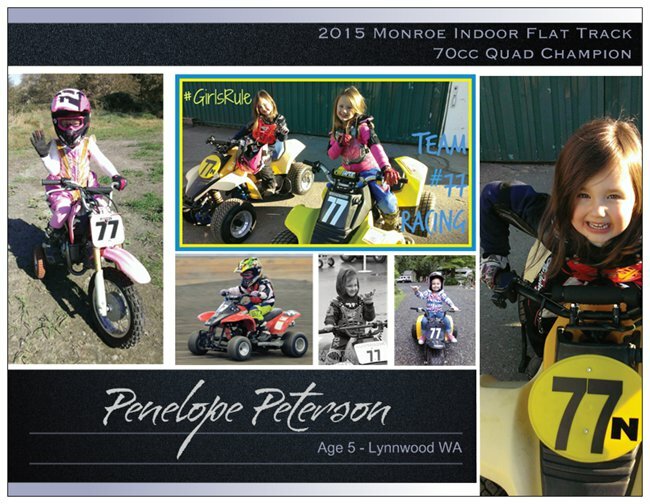 Penelope rode great today, and took 2nd in both her 1st and 2nd moto, and then fought hard, taking 1st in her last moto – total points shaking out to a 2nd place overall finish! Maybelline was also riding hard today. She took 2nd place in all 3 of here motos, and taking 2nd place overall. We were so happy to see that they haven’t lost progress and are still determined as ever to peddle their butts off! Even better than the girls’ victories today was the sense of ‘team spirit in the house’! We had 7 diablos team members, many from Canada, come out to race with us. It’s always fun to meet new people and chat with others that we don’t see often enough! We also had a ‘future Diablo’ join us for her first day at the track with her Strider. Aubrey is the 3 year old cousin of our Diablos team captain, Bill. She made a few attempts at riding the track during practice, but was quickly sidelined and distracted by the amount of people (and her food, LOL), so she decided to warm the bench for the rest of the afternoon. Sounds like she plans to get in some more regular practices and join us again for racing in the next few months! Since we were racing locally today, we were lucky enough to also have my aunt/uncle and grandma come out and watch the girls’ race! It’s not very often that family joins us at the track, so this was a special treat for all of us. Now that we home from today’s adventures, we are focused on getting ready for our Flat Track (quads and dirt bikes) season which begins next weekend. We have to the get the ‘bus’ out of storage and ready to go, we’ve got to get the covered trailer emptied (and figure out where all those bikes will be going for now), we have the kids 2 dirt bikes plus 2 quads that they will be racing (plus a few back up bikes) to get ready to go, and then the small things like gear/food/etc. Meanwhile, school and work is on full force for the next four days (thankfully we all have Friday off though). With all the chores aside, we are SOOOOOOOO excited for the season of ‘2 stroke Sundays’ to begin! 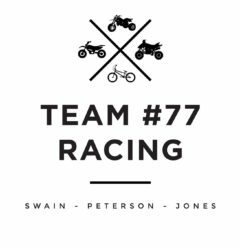 Author team77racingPosted on November 6, 2016 November 6, 2016 Categories BMX, Diablos Racing, Family FunTags BMX, Diablos, Grand Opening, NW Indoor BMX, Team 77 RacingLeave a comment on Northwest Indoor BMX Racing GRAND OPENING WKND!